Register for your first class online. Classes are taken twice a week for one month; make-ups may be arranged. Valid for those who have not attended Sandbox in 2018. 1) Computer classes: one month of 90-minute computer classes two times per week (8 classes total) for $49. Grades K-12. Thousand Oaks location only. One lesson day and one lab day each week. 2) Math tutoring: one month of small group 90-minute math tutoring sessions two times per week (8 classes total) for $69 Grades K-12. Thousand Oaks or Simi Valley location. Small groups are 3-5 students of same grade level. 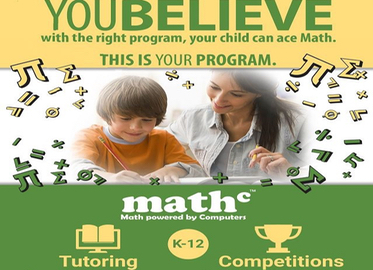 Math tutoring typically increases student score by one letter grade. 3) Math Competition Prep: one month of 90-minute Math Competition Prep classes two times per week (8 classes total) for $49. Grades 2-12. Valid at Thousand Oaks and Simi Valley locations. Instructor-Student ratio of 1:8. Math Competition Prep program students scored 50% higher than the national average. 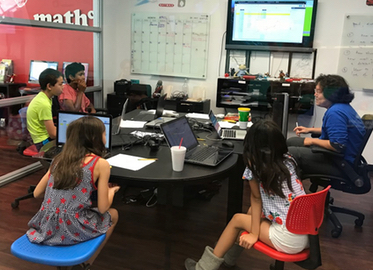 Using our exceptional math and computer skills (OK, so we may have used an online “percentage off” calculator), we came up with THREE great deals for computer and math classes with our friends at Sandbox Computers for Kids with convenient locations in Simi Valley and Thousand Oaks. 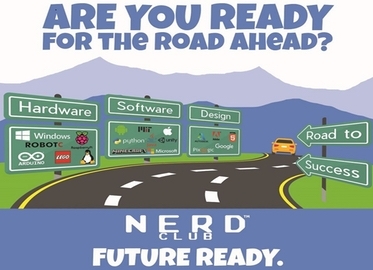 Computer Classes: “programmed” for children in grades K-12 (children will be separated by age and skill level), these 90-minute classes are offered two days a week at the Thousand Oaks location. 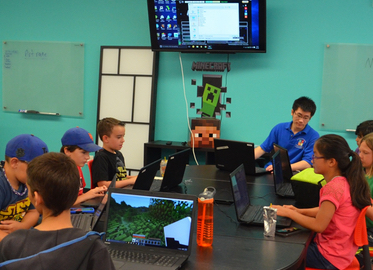 In a fun, spirited class, kids learn to use Minecraft Modding, Robotics, or Website Design. Small Group 90-minute Math Tutoring Classes for grades K-12. Children learn in small groups of 3-5 students in the same grade level at the Thousand Oaks and Simi locations. Perfect for kids who are either struggling with math or want to start the school year with a boost in math confidence. Math Competition 90-minute Prep classes are for grades 2-12 with a 1:8 instructor to student ratio and are offered in both the Thousand Oaks and Simi locations. These classes are ideal for students who love math and are looking for additional challenges and to further develop their problem-solving skills. Math Competition Prep prepares students for prestigious competitions such as Noetic, MATHCOUNTS, and AMC Math Olympiad.